Dynarex Leg Drainage Bags are convenient for patients who are mobile but require a urinary catheter. 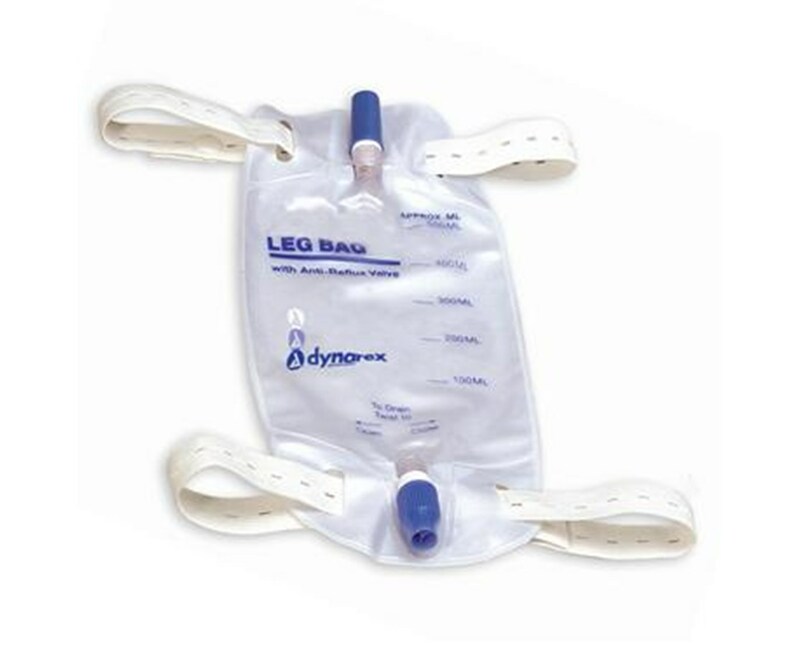 Easy to use straps provide a comfortable, secure attachment to patient's legs. Durable, yet soft comfortable vinyl construction provides optimum performance and comfort. 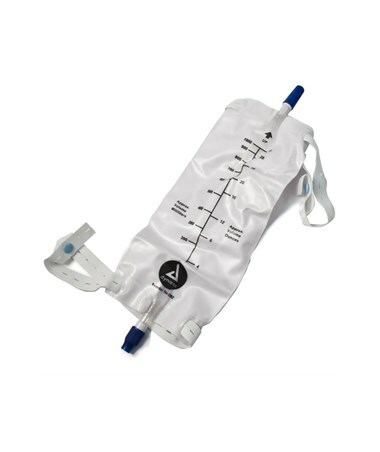 Anti-Reflux valve prevents urine backflow. Valve provides a simple non-drip closure. The graduated volume measurements are clearly marked for easy viewing and monitoring of urine output. 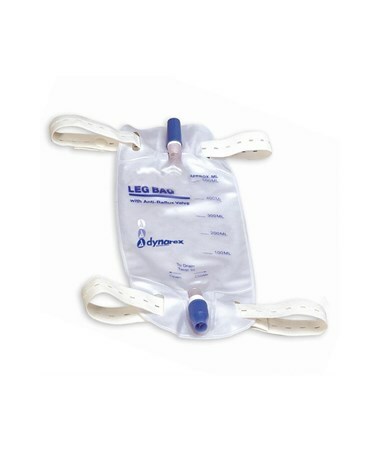 Dynarex Leg Urinary Drainage Bags are high quality so you can be assured when it matters most. Don't choose second best. Choose Dynarex.